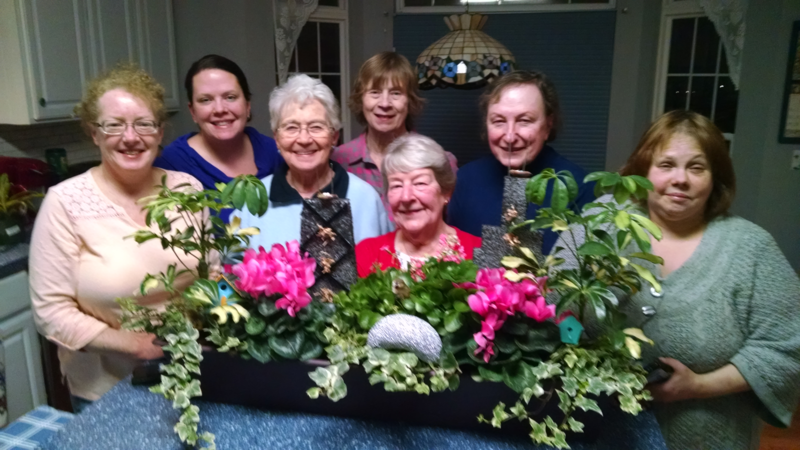 This is the first year that our garden club has entered a window box into the annual competition during the Chicago Flower and Garden Show. The theme of our window box was “Tweet Home Chicago” and we have plenty of birds, birdhouses and nests to support that. This is a picture of our Window Box Committee putting the finishing touches on our entry. From left to right is Kathleen Eddy, Maureen Ernandez, Peggy Reinhardt, Linda Groble, Patti Loomis, Janice Zastrow, and Kathy Christie. OUR WINDOWBOX ENTRY PLACED 2ND! !